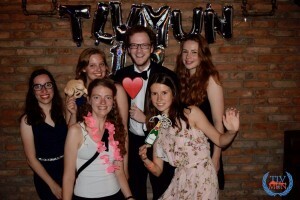 TLVMUN Delegate Report 2017 | HanseMUN e.V. This year from the 20th to the 24th of August 6 members of our society got to participate in the TLVMUN in Tel Aviv, Israel. We send a quite diverse group consisting of 1 Chair, 3 experienced Delegates and 2 First Timers. That way we also got to take part in a variety of committees reaching from the United Nations Development Program (UNDP) to the Security Council and Crisis committees. Overall the conference was an amazing experience and most of us got to see a new side of MUN, for example myself by joining a crisis committee for the first time. Furthermore it gave us the the opportunity to explore Israel a bit. 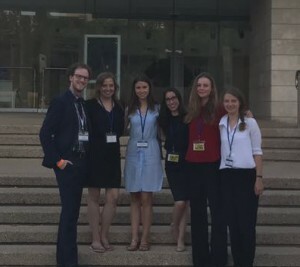 After all we got to take a city tour as well as listen to a very interesting panel at the opening ceremony which discussed, among other things, possible solutions to resolve the Israel Palestine conflict. And of course there were socials, like a pool party and the delegates ball. Summing up the conference was a great experience and one of our delegates even won an honorable mention award.